The staff of the Child Protection Center is specially trained to work with victims of abuse and their families. ​Our staff strives to make sure all visitors to our facility receive the care and treatment needed. Julie has been with the Child Protection Center since 2002 as a child therapist and became the Executive Director in April, 2007. She has a Bachelor of Arts in Psychology and a Masters of Education in Community Counseling from Ohio University. She is a Licensed Professional Counselor by the State of Ohio. Previously, she was employed at Adena Regional Medical Center’s psychiatric unit. Prior to joining the CPC, Julie has worked in the field of mental health for over ten years involving crisis intervention and various mental health treatments. Dr. Luckeydoo is a member of Chillicothe Pediatrics. She is Board Certified in pediatrics. She has been working at the Child Protection Center since July, 2005. She attended the Basic Medical Training Academy in Huntsville, Alabama in November, 2006. Dr. McCallum is a member of the Adena Pediatric Group. He has been working at the Child Protection Center since 2004 doing child abuse exams. Dr. McCallum received his medical degree from Loyola-Stritch University School of Medicine and residency at TOD Children's Hospital in Youngstown, Ohio. Dr. McCallum is a member of the American Academy of Family Physicians and has been working at the Child Protection Center since 2004 doing child abuse exams. Dr. McCallum received her medical degree from Loyola University of Chicago School of Medicine and residency at Saint Elizabeth Health Center in Youngstown, Ohio. She is certified by the American Board of Family Medicine. Marilyn came to Child Protection Center in 1996. She assists the physician with child abuse exams and has been trained as a SANE (Sexual Assault Nurse Examiner). She graduated from Grant Hospital School of Nursing. She has worked at Adena Regional Medical Center in pediatrics, surgery and recovery. She is certified in Pediatric Advanced Life Support. Dr. Brian L. Bethel is a Professional Clinical Counselor-Supervisor (LPCC-S), a Licensed Chemical Dependency Counselor (LCDC III), and a Registered Play Therapist-Supervisor (RPT-S) with specialized training in counseling children, adolescents, and families. Dr. Bethel earned his PhD. In Counselor Education and Supervision from Ohio University where he also earned dual Master’s degrees in Clinical Counseling and Rehabilitation Counseling. Lori is a Professional Clinical Counselor; she had an M.A. with a dual concentration in Clinical Mental Health and Art Therapy. She also has two B.A. 's, with one in psychology and the other in studio art. 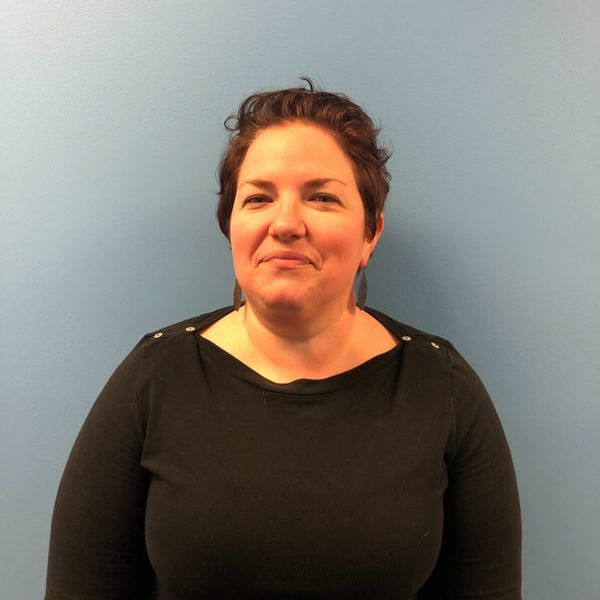 Prior to joining the Child Protection Center staff, Lori has worked in the Mental Health field in many capacities, involving high risk children and their families. Brittany joined the Child Protection Center in March of 2019. She graduated from Wilmington College with a Bachelor's Degree in Psychology and from Capella University with a Master's in Human Resources Management. Brittany brings with her experience in the Child Welfare System, the Educational field, and the Human Resources field. Marjorie began working with The Child Protection Center as a practicum student in June of 2018. She is currently pursuing her degree in Human Services Technology. She brings with her experience in case work and a love for working with people. Walter has been with the Child Protection Center since September of 2018 as a child abuse specialist. He is a licensed school counselor in both Ohio and New York states, has a Master of Science in School Counseling from Long Island University, and a Bachelor of Arts in Psychology from Goucher College. Prior to joining the CPC, Walter has worked as a crisis counselor, psychiatric recovery coach, and assistant to the Center for Community Values and Action at the Horace Mann School in the Bronx, New York. Kelli has been with The Child Protection Center since April of 2018. She is a graduate of Ohio University with a Bachelors of Fine Arts in Visual Communication. Kelli brings with her experience in marketing, advertising administration, and education. After a lifetime career in education and retiring from Chillicothe High School and Ohio University in 2014, I continue a lifelong love of learning serving the elementary children of Ross county offering Body Safety and Internet Safety classes for the Child Protection Center. Alyse has been with the CPC as Parent Educator since 2015. She graduated from The Ohio State University with a B.A. in Psychology and a Master’s in Social Work and currently works full time at the Adena Counseling Center as a Child and Adolescent Therapist. Alyse has interests in education and serves as an Adjunct Lecturer in Social Work at Ohio University-Chillicothe, and as a Field Instructor for students completing their M.S.W. You can contact the staff of The Child Protection center via email, phone, or mail. ​Integrated Services of Appalachia Ohio, Ross County Sheriff’s Department, Chillicothe Police Department. Child Protection Center provides services to the public and is funded by grants including United Way, Victims Of Crime Act and Children's Trust Fund.